Cloud tattoos area bit unique in that they are not terribly common. 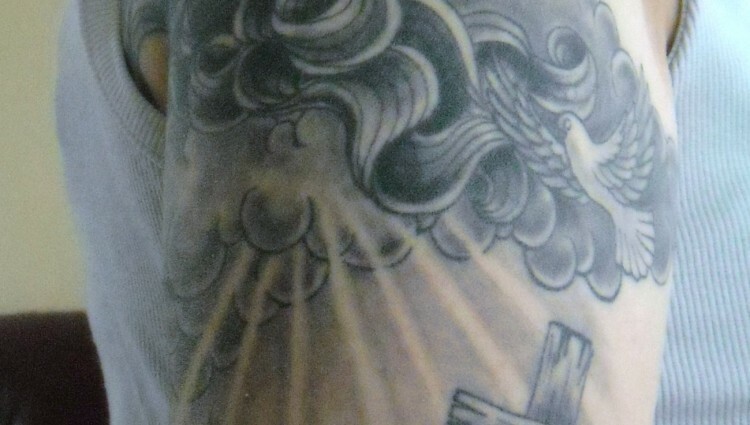 They also allow for some differing uses of color such as the cloud tattoo with purple below. They are also often paired with images of the sun or with rainbows. 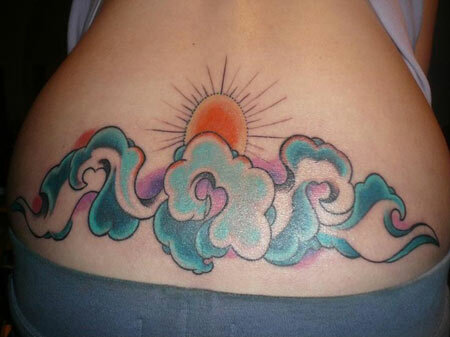 Various things are associated with the cloud tattoo, such as sky, sun, and stars images, along with water drops. Lightening is also sometimes associated with cloud tattoo designs. Also sometimes seen or water drops in the shape of a heart. 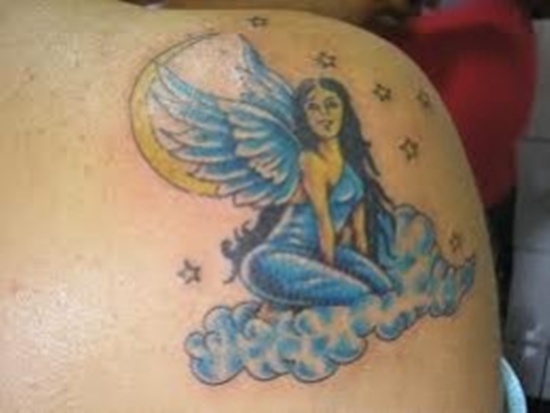 Here an angel is associated with the design.